"Fun and Funky Cats" Swap Gallery! 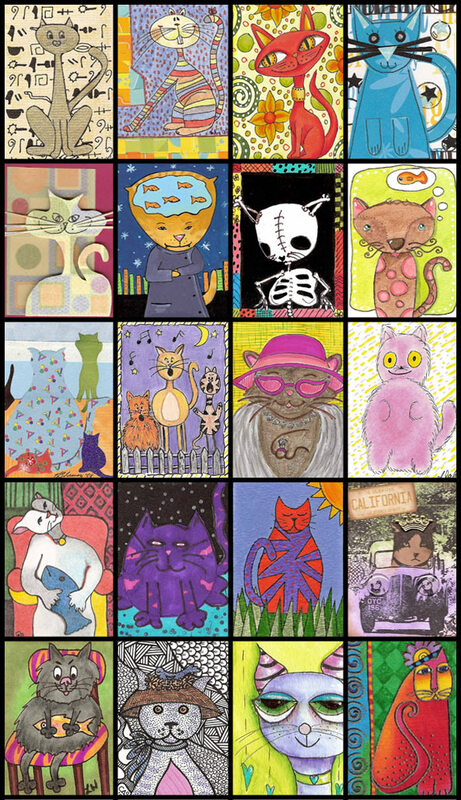 Cats come in all sizes, and so do ATCs featuring them! Here is a fun and colorful swap gallery full of them!